Two exciting main events will be presented on the same night, Saturday, May 19 live on Showtime as part of a split-site doubleheader telecast. Featherweight world champion Gary Russell Jr. will defend his WBC title against undefeated mandatory challenger Joseph "JoJo" Diaz Jr. on Saturday, May 19 in a clash live on Showtime from MGM National Harbor in Maryland. 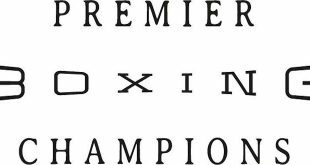 The other half of the split-site Showtime Championship Boxing telecast will feature WBC Light Heavyweight Champion Adonis Stevenson defending his title against two-division world champion Badou Jack in a main event from Canada presented by Premier Boxing Champions. "Showtime continues to deliver the most meaningful and action-packed fights in boxing, week after week," said Stephen Espinoza, President, Sports and Event Programming for Showtime. "On May 19, we have two events that demand top-billing, with world champions facing their toughest challengers in an international split-site doubleheader. Gary Russell and JoJo Diaz will meet in the latest of what has become a de facto featherweight tournament this spring on Showtime. 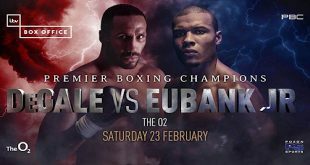 "Over the next two months, Showtime will deliver four pivotal matchups featuring three world champions and seven of the consensus top-10 featherweights in the world. Adonis Stevenson vs. Badou Jack is by far the biggest fight at light heavyweight in 2018, fellow 175-pound champs facing off in what has the makings of a lasting rivalry." 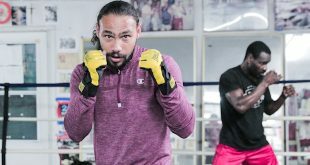 The 29-year-old Russell (28-1, 17 KOs), who was born in Washington, D.C. and now lives in Capitol Heights, Maryland, will be defending his title before a hometown crowd. This will be Russell's second straight fight at MGM National Harbor following his knock-out win over Oscar Escondon in his first title defense there on May 20, and second defense overall. It was his third straight knockout victory in a world title fight since dropping a majority decision to Vasyl Lomachenko in his first world title shot in 2014. "I don't see this being a long night," said Russell Jr. "If he gets reckless, it might end early. I don't plan on going the distance with anyone I step in the ring with. I know he's in for a rude awakening. I don't feel as though he has the punching power, the hand speed or the ring IQ to do anything to me. 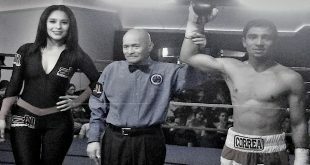 At the end of the day he'll have the opportunity to say he got in the ring with Mr. Gary Russell, Jr.